XPD utilizes state-of-the-art zero voltage or "soft" switching technology to virtually eliminate switching transients for high efficiency, low noise and high reliability. 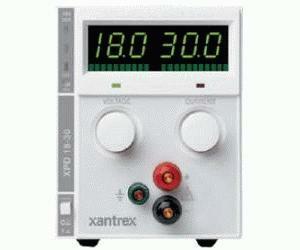 It is also power factor corrected for low current draw and reduced generation of input current harmonics. For systems applications, XPD can be rack mounted in multiple-unit configurations of up to four independent 500 watt outputs. For example, XPD can be combined with other programmable DC power supplies such as the quarter-rack 300 watt HPD and the 60 watt XT.